Trump says he wants Attorney General Jeff Sessions to uncover identity of senior administration official who wrote anonymous op-ed. US President Donald Trump said on Friday he wants Attorney General Jeff Sessions to investigate and uncover the identity of the senior administration official who penned an anonymous op-ed in The New York Times this week. In the op-ed, the official claimed that they were part of "resistance" group working to thwart Trump's worst impulses. "Yeah, I would say Jeff should be investigating who the author of this piece was because I really believe it's national security," Trump told reporters Friday aboard Air Force One, according to CNN. Justice Department spokeswoman Sarah Isgur Flores declined to comment on the mater, saying "we do not confirm or deny investigations." Neither Trump nor the White House have identified a specific crime that has been committed. Asked Friday whether any legal action would be taken against The New York Times, Trump demurred: "Well, we're going to see." 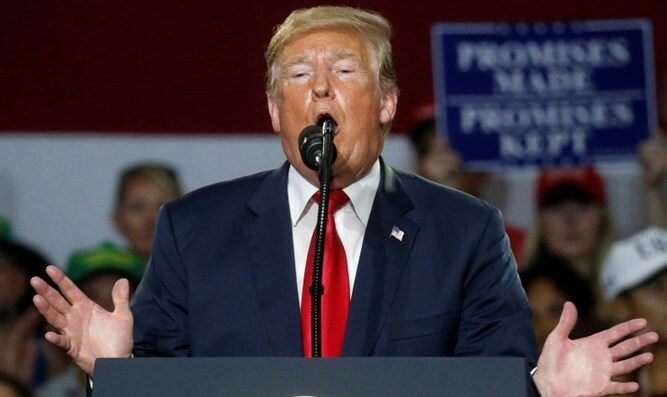 Earlier on Friday, Trump said in an interview on Fox News that the anonymous op-ed was "virtually" an act of treason. The Times "should have never have done that because really what they’ve done is, virtually, you know it’s treason," the President said, speculating that the person behind the article is situated "at a fairly low level." US First lady Melania Trump on Thursday fired back at the anonymous author of the op-ed. "Freedom of speech is an important pillar of our nation's founding principles and a free press is important to our democracy. The press should be fair, unbiased and responsible," she told CNN in a statement. "To the writer of the op-ed -- you are not protecting this country, you are sabotaging it with your cowardly actions," added Trump. The President on Friday argued the column presents a national security concern because this person still is in the government and shouldn't be attending high-level meetings. "We're going to take a look at what he had, what he gave, what he's talking about, also where he is right now," Trump was quoted as having said. "Suppose I have a high level national security and he has got a clearance -- we talk about clearances a lot recently -- and he goes into a high-level meeting concerning China or Russia or North Korea or something and this guy goes in. I don't want him in those meetings." "I don't mind criticism, I handle it and I fight back. But here's criticism where you can't fight back. 'Cause you have somebody doing it anonymously," he explained.